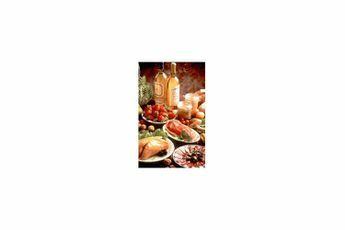 La Bouquerie is a 5-star campsite situated deep in the countryside at Saint-Geniès in the Périgord. 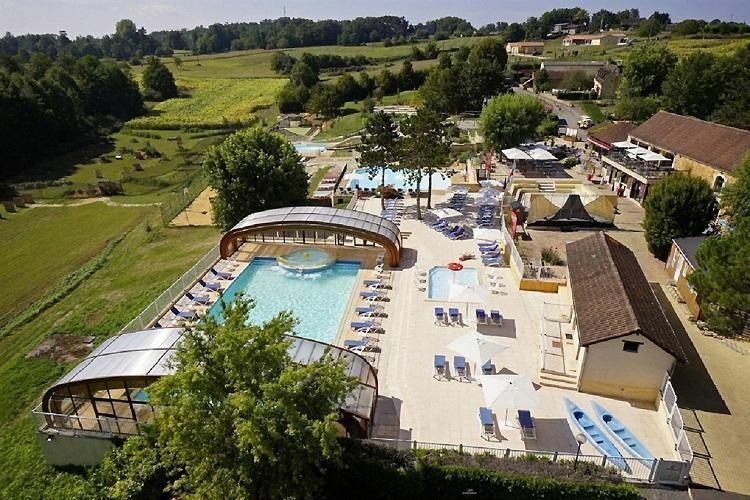 Positioned between Lascaux (13 km) and Sarlat la Caneda (13 km), this campsite is the ideal place to discover the delights of the region of Dordogne. Take the time to relax by the enormous waterpark, which has beautiful outdoor and covered pools, a paddling pool, slides and a waterfall. In July and August children can take part in a enriching activities at the Kids Club where they can play sport, enjoy face painting, learn how to cook and have fun at mini discos. Start the day in top form with a fitness or aqua-dance class, as well as other aquatic activities from water polo to rubber-ring races down the big slide. In the afternoons defeat your friends at pétanque (boules) and other games, or show your team spirit with beach volleyball, football or basketball. To finish off the day there is a huge range of things to do including a quiz, concerts, dances, bingo and more. If you feel like getting away, you can explore the rest of the Périgord Noir and the unmissable Vezère and Dordogne valleys. Located in Saint-Geniès, a charming village with ochre stone houses and slate rooftops, La Bouquerie campsite is the starting point for all your excursions. Discover Sarlat, town of art and history, and prehistoric sites such as the Lascaux Cave and Lascaux II. For lovers of nature, this beautiful part of France is perfect for leisure activities such as swimming and canoeing. Spend your holiday in Aquitaine in the Périgord Noir, where nature and cultural heritage are in harmony at the heart of the Vezère and Dordogne valleys.